Excitement mounted as the finals night of the annual snooker handicap drew near. Two semi-finals were on the agenda followed by a scintillating final. All the matches were to be the best of three frames and the crowd was not disappointed as every match went to the wire. First up were Richard Porter and Will Bell. Richard won the first game, frightening Ladbrooks into slashing the odds to deter any late punters. However, Will won the next two frames to ease into the final. 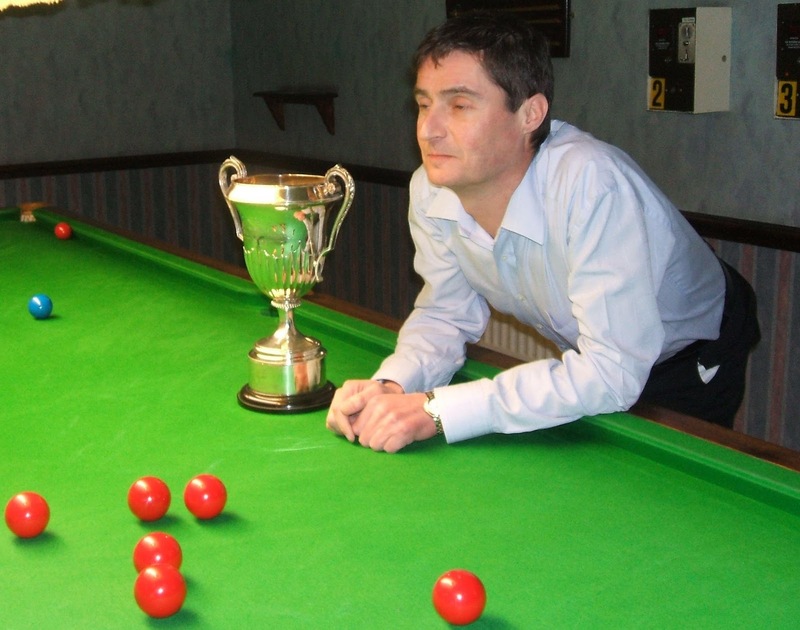 In the other semi-final Mark Anderson took on John Higgins, last year’s champion, a worthy opponent. After the first two frames were shared a very close third frame was played which ended with the scores equal. John emerged the victor after shopping the re-spotted black. The scene was set, John the sitting champion against Will the young pretender and a crowd on the edge of their seats. As the pyramid was broken with the first strike, Ladbrooks closed the book and announced “No more bets.” declaring a record amount of money had been wagered on both competitors. Again the opening two frames were shared and the final frame was very close with John emerging the victor to win his second successive title.